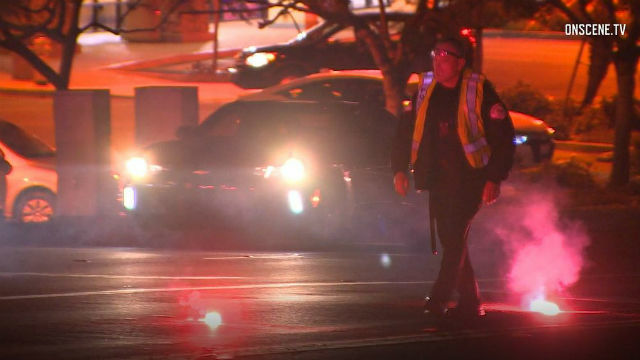 A pedestrian was struck and killed while crossing a highway in Oceanside on Saturday night. Officers responding to the scene found a man lying unresponsive in eastbound lanes of Route 76. Davis said according to witness statements and evidence at the crash scene, investigators believe the pedestrian was crossing Route 76 from north to south against a red light, and was hit by a car heading east on the highway with a green light. The driver, who was not injured, immediately stopped and waited for police to arrive, Davis said. Police don’t suspect alcohol or drugs were factors in the crash.